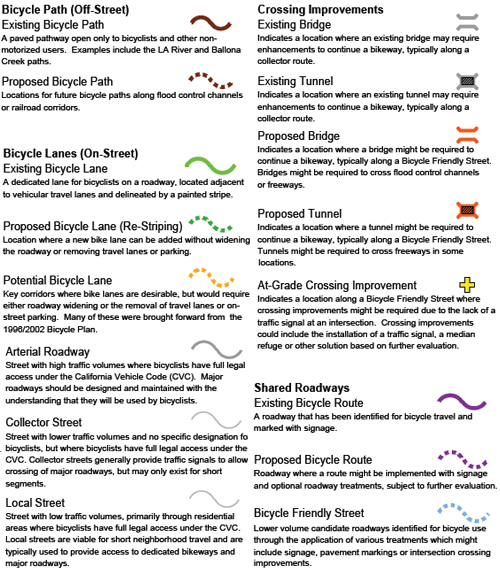 L.A. officials currently has plans aloof to retrofit the city of angels into a more bicycle-friendly city. Comments on the plans have been both positive and negative, with some people finding the maps over-elaborate and confusing. 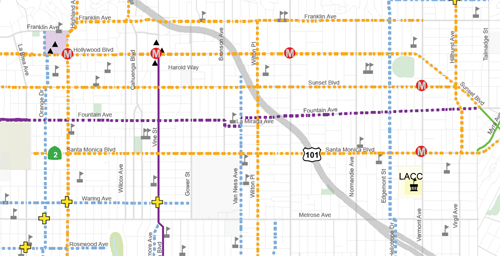 To address this, a group of L.A. cycle activists have created their own map named the 'Central Los Angeles Backbone Bikeway Network' (shown below). 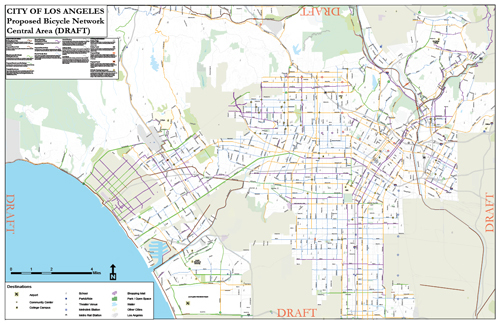 "The city really is more palatable when you have a straight shot through it, with less lights and less stop signs," said Mihai Peteu, 28, who helped design the map after holding public meetings with cyclists throughout the city. "I think cyclists deserve to have something similar to the freeway system." It's just an idea, Peteu said. But given a little funding to paint bike lanes, improve the pavement and create shared bike-car lanes called sharrows, such a system could give cyclists a speedier way around town. With over 90% of L.A.'s population driving to work everyday and its unbelievably low population density of approximately one acre per family, L.A. is not exactly the easiest city to promote cycling as a mode of transport. As always, intermodality between cycling and the various public transport services will be the key to the success of such a plan. Also, the wide avenues in the city allow for easy introduction of bicycle lanes if one was to compare L.A.'s streets to Dublin's streets which offer little opportunity for the introduction of decent bicycle lanes due to it's narrow historic core which was designed for horse-and-carts and also the narrow winding roads emerging from the badly planned housing estates.